Minimum quantity for "Absolute Organic Raw Sugar 700g" is 1.00. Product of Brazil. Ingredients: organicrapadura sugar. Minimum quantity for "Gluten Free Co. Rapadura Sugar 500g" is 1.00. Minimum quantity for "Melrose - Molasses Back Strap 600g" is 1.00. Minimum quantity for "Nature First Organic Panela 500g" is 1.00. Minimum quantity for "Nirvana Organic Stevia Tablets (100)" is 1.00. 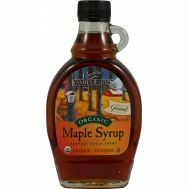 Minimum quantity for "Pure Harvest Maple Syrup (pure) 250ml" is 1.00.